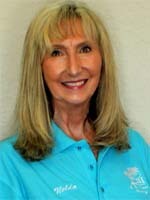 Nelda is a lifelong resident of Florida and an alumnus of Atlanta Christian College . Combining her business background and knowledge of the area, she consistently finds buyers homes that meet their needs and exceed their expectations. Whether you are a first-time buyer or an experienced investor, Nelda can help you with choosing the right property, negotiating an offer, securing financing, and everything involved in making an informed decision in today's market.